There are several definitions doing rounds on the internet to differentiate the job role of a data analyst and a data scientist but they are inadequate as different organizations have different ways to define big data job roles. Most of the people think that data scientist is just a fancy word for a data analyst role, however, it is not so. Data analyst and data scientist are two hottest career tracks in the big data world. Let’s understand what the difference between data analyst and data scientist is and what differentiates the two hottest IT professions of 2017. Data scientist explores and examines data from multiple disconnected sources whereas a data analyst usually looks at data from a single source like the CRM system. A data analyst will solve the questions given by the business while a data scientist will formulate questions whose solutions are likely to benefit the business. In many scenarios, data analysts are not expected have hands-on machine learning experience or build statistical models but the core responsibility of a data scientist is to build statistical models and be well-versed with machine learning. Data analyst and data scientist skills do overlap but there is a significant difference between the two. Both the job roles requires some basic math know-how, understanding of algorithms, good communication skills and knowledge of software engineering. Data analysts are masters in SQL and use regular expression to slice and dice the data. With some level of scientific curiosity data analysts can tell a story from data. A data scientist on the other hand possess all the skills of a data analysts with strong foundation in modelling, analytics, math, statistics and computer science. What differentiates a data scientist from a data analyst is the strong acumen along with the ability to communicate the findings in the form of a story to both IT leaders and business stakeholders in such a way that it can influence the manner in which a company approaches a business challenge. Programming languages like Python, R, SAS, Matlab, SQL, Pig, Hive, and Scala. Distributed Computing frameworks like Hadoop. Writes convention SQL queries to find answers to complex business questions. Analyse and mine business data to identify correlations and discover patterns from various data points. 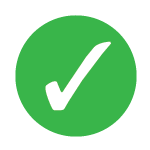 Implements new metrics for finding out formerly not so understood parts of the business. Become a thought leader on the value of data by finding new features or products by unlocking the value of data. Data Cleansing and Processing -Clean, Massage and organize data for analysis. Identify new business questions that can add value. 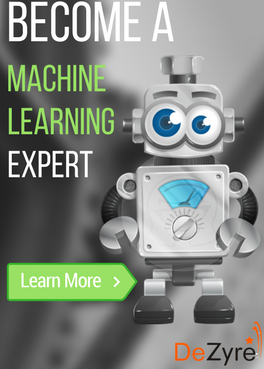 Develop new analytical methods and machine learning models. Conduct causality experiments by applying A/B experiments or epidemiological approach to identify the root issues of an observed result. It comes as no surprise that data scientists earn significantly more money than their data analyst counterparts. The average salary of a data analyst depends on what kind of a data analyst you are – financial analysts, market research analyst, operations analyst or other. According to a salary survey report by Bureau of Labor Statistics(BLS) in 2012, average salary of market research analysts is $60,570 , operations research analyst on average earn $70,960 and average salary of a financial analyst is $74,350. BLS anticipates the analytics job market to grow by 1/3rd by 2022 with approximately 131,500 jobs. As of 2016, entry level salary for a data analyst ranges from $50,000 to $75,000 and for experienced data analysts it is between $65,000 to %110,000. The median salary for data scientists is $113,436. Average Data scientist salary in US or Canada is $122K while data science managers leading the data science team at an organization earn an average of $176K. Regardless of the similarities and differences between a data analyst and a data scientist job role, one is incomplete without the other. 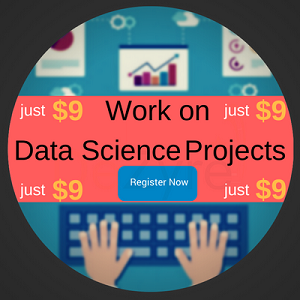 2017 is the best time to master Data Science! 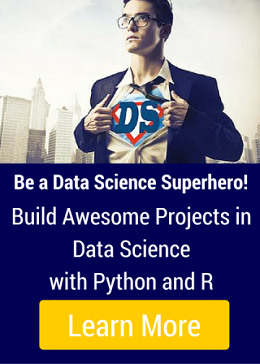 Get started with specially curated certified project based Data Science Training by DeZyre.